However, on reflection, this year could be a good starting point for the achievement of new milestones in climate protection. Part and parcel of this less pessimistic outlook are the aims of the G20 and its German presidency. Under the leadership of Angela Merkel there is a good chance for a push towards carbon pricing. This would allow the world to pursue a growth path that protects the environment at the same time as lifting people out of poverty. Since the industrial revolution, economic development has been largely based on the consumption of fossil fuels. In order to mitigate climate change, it is therefore crucial to decouple economic growth from emissions growth. Despite the fact that renewables are on the rise in many industrialized countries, coal is still cheaper than other energy carriers, especially in many developing countries. There is also an abundant supply of fossil fuels still available in the ground. Putting a price on carbon would be an effective way to avoid the build-up of new coal power plants and the associated lock-in into emission-intensive infrastructure. It would also steer investments towards a more sustainable infrastructure. This can be done either through a tax or a functioning emissions trading system. As a first step, countries can implement carbon pricing schemes at a domestic level, with national price paths adjusted for the principle of “common but differentiated responsibility”, and then head towards a long-term convergence of price. The G20 would be the ideal forum in which to promote the idea of ​​carbon pricing: the G20 countries are responsible for roughly 80% of global emissions, and are thus heavyweight players in climate policy. In addition, they have all submitted their Nationally Determined Contributions (NDCs) and 18 of them have already ratified the Paris Agreement. Carbon pricing in the G20 would not start from zero. Currently 13% of total greenhouse gas (GHG) emissions in the G20 are covered by carbon pricing schemes. China will introduce the world’s largest emissions trading scheme during 2017, and pilot projects in several Chinese provinces are already operational. Including China, 23% of total GHG emissions will thus soon be subject to carbon pricing schemes. In addition, Mexico has implemented a carbon tax, and Russia is seriously considering an ETS system —see Figure 1— proving that these initiatives are not restricted to the G7 countries and China. The new political situation in the US, and the well-known opposition towards carbon pricing for example in Saudi Arabia, makes achieving consensus among all the G20 countries very difficult. Therefore, it will be important to underpin the endeavour to implement carbon pricing through bilateral activities; a Chinese – German/EU coalition could be especially helpful in facilitating discussion. 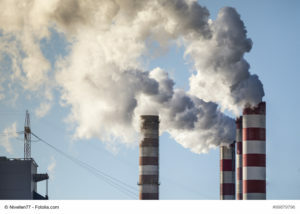 One idea could be to agree upon a mutual peer review of the ETS Systems to exchange experiences, and to avoid the mistakes made in the design of the EU Emission trading scheme. Peer review is already an integral part of the G20 process for phasing out inefficient fossil fuel subsidies and could also be adopted for carbon pricing. It is important that the Hamburg G20 communiqué communicates that carbon pricing is one of the most important instruments to tackle climate change. In addition, laying out a timetable for implementing carbon pricing in the G20 would be of major importance. Germany could build on past experiences in order to effect such a signal. 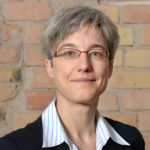 In the wake of the G7 summit in 2015, the German government initiated the G7 Carbon Pricing Platform which stimulated a dialogue on carbon pricing. This platform should now be expanded by a “coalition of the willing” towards a “G7 plus X” group of countries to foster the international dialogue on carbon pricing. Climate change might become a major threat to the financial system. Mark Carney, Governor of the Bank of England and chair of the G20 Financial Stability Board, has indicated that fossil fuel assets and high-carbon infrastructure will be devalued, if we take the Paris Agreement seriously. In contrast, in order to build financial resilience, investments in sustainable infrastructure have to be stimulated. The German presidency could build on the Chinese G20 initiative on promoting “Green Finance” by making it more concrete. This could be done by introducing (implicit or explicit) carbon pricing as an indicator to improve the transparency of green indicators and make Green Finance more traceable. Some of the G20 countries— India, for example — reject an overly ambitious climate policy and would like to let their emissions grow further before reducing them at a later date. They argue that they have the right to development, and that is certainly justified. Therefore, climate change mitigation will only be successful if a “just transition” is ensured and emerging economies can be assured that this will not hinder their development. This means carbon pricing should not only be considered in the narrow context of climate protection, but in a broader context of the sustainable development goals (SDGs), adopted by all countries in 2015. Research undertaken by MCC shows that with carbon pricing, climate protection and development can be achieved simultaneously: carbon pricing generates a new source of revenue for the government, and even a moderate CO2 price could finance infrastructure projects that complement the SDGs. For example, such projects could provide universal access to clean water and sanitation in many countries. Combining environmental protection with the right to development, in line with the SDGs, provides an entry point and a pathway for carbon pricing in the G20. The three policy options outlined above could be the first steps towards this objective.